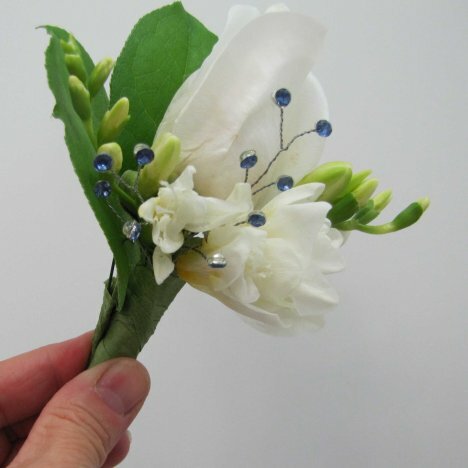 A crystal boutonniere accents can make the lapel buttonholes sparkle. 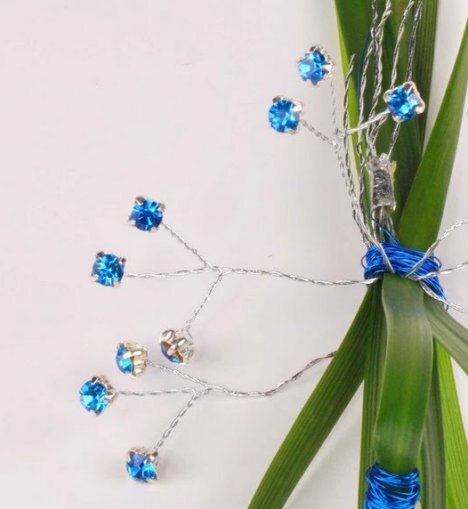 Sparkling stones are set on flexible wires and can be wired or taped into any design. 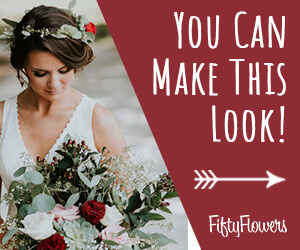 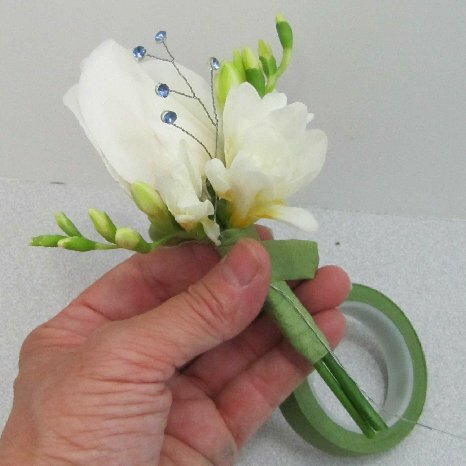 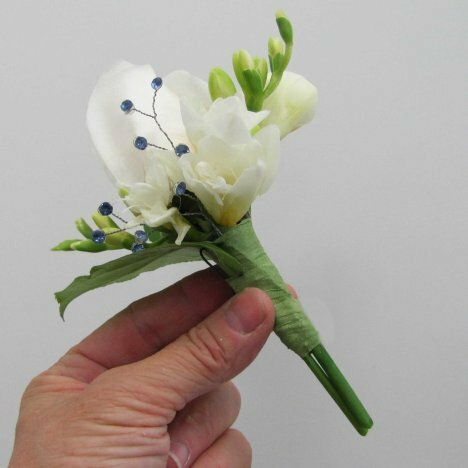 They come in assorted colors that can be worked into your wedding palette. 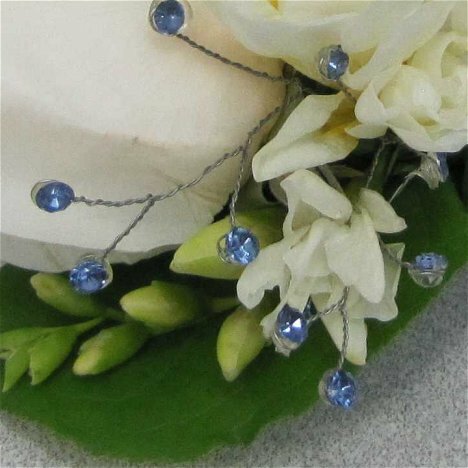 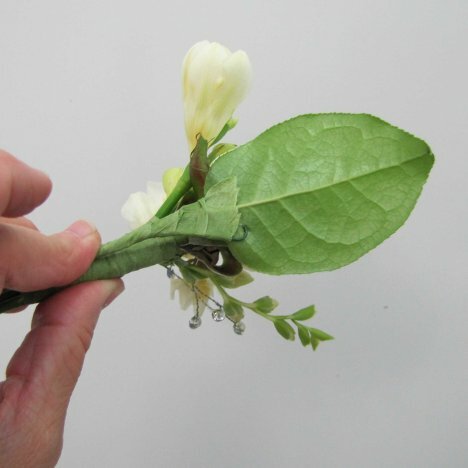 Lay the crystal wire against the front of the boutonniere and tuck it in between the two flower heads. 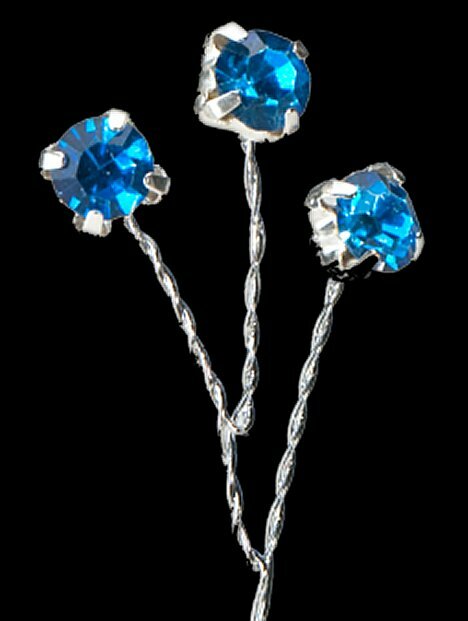 Nestle the sprays against the rose, bending the wires if necessary to face all the stones forward. 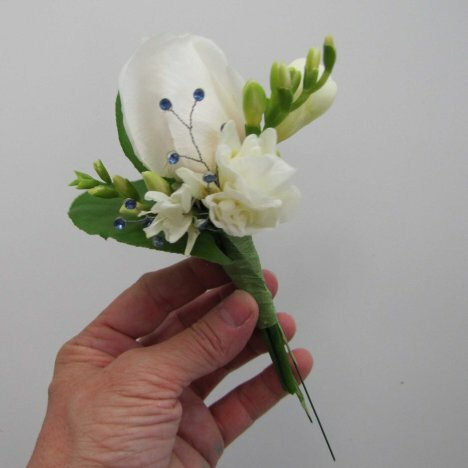 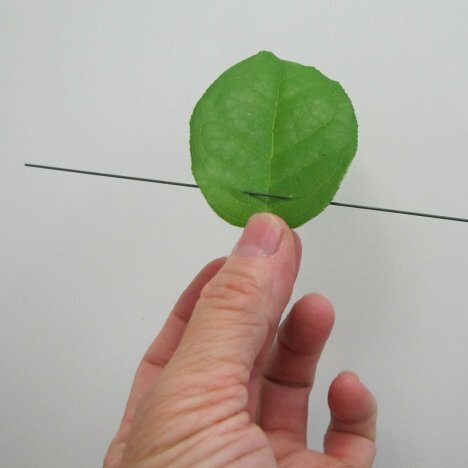 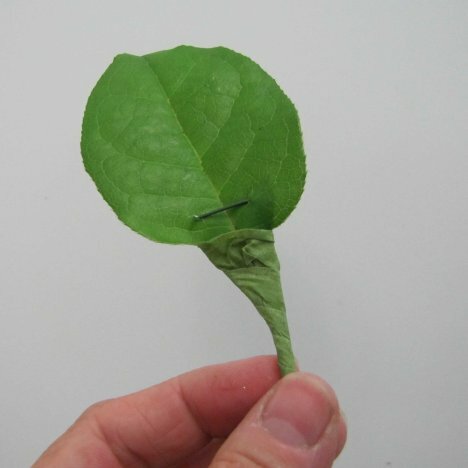 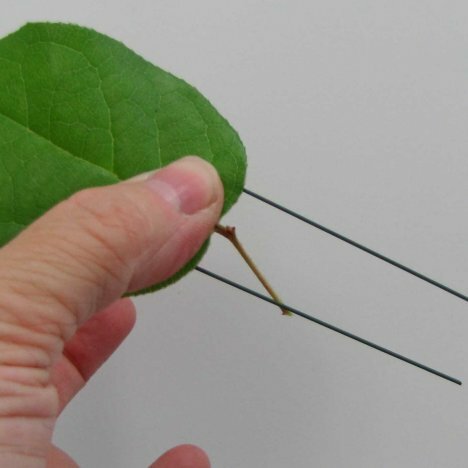 For this boutonniere, I'm going to add a couple of salal leaves. 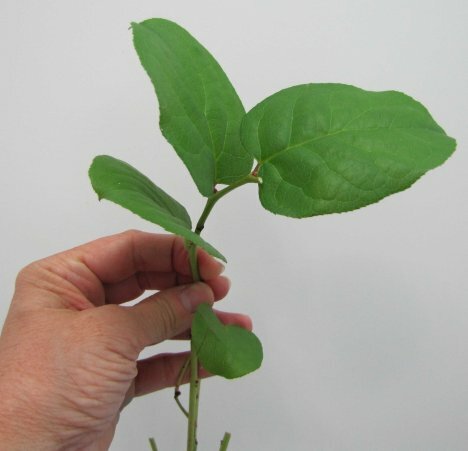 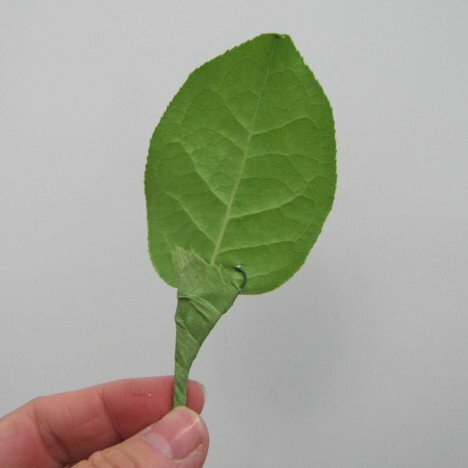 Also known as "Lemon Leaf", this popular greenery has broad, well-formed leaves that are great for framing larger flower heads. 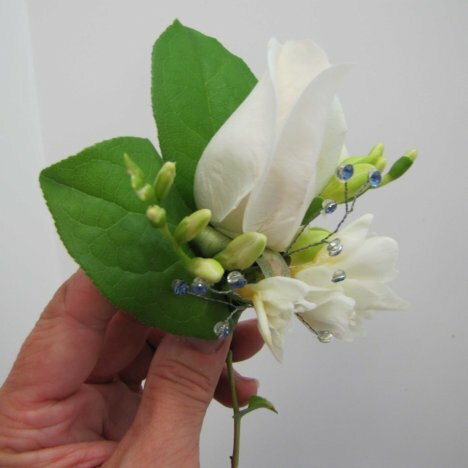 You can see how adding the backing to this lapel flower will give it a dark background that makes the white flowers pop. 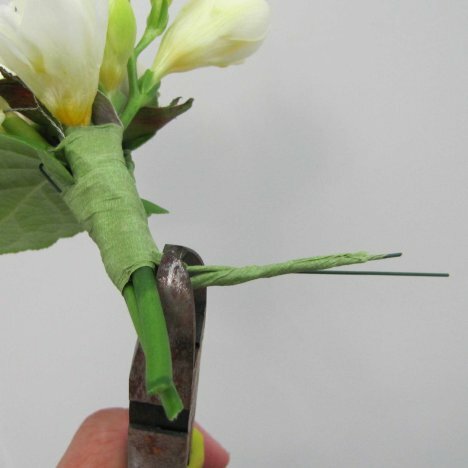 Cover your elements both front and back and gently bend your leaf slightly forward so it will press tightly against the back of the rose.